I’ve spun my first 200 yards of yarn on the new wheel! I’m calling this one “Filigree”, after my favorite jewelry technique: twisting together wires of precious metal into loops and whorls. I particularly like to work in silver, as it is soft and accommodating (for a metal). The strength and fineness of this yarn parallels the curves of filigree work. Or something. Honestly, five seconds ago I realized I didn’t have a name for it and came up with that on the spot. 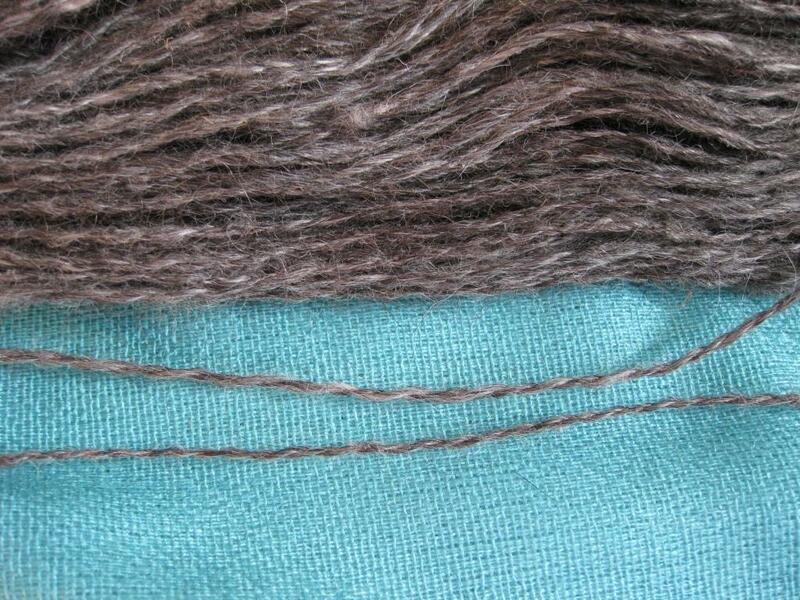 Anyway, the roving is a mill processed blend of 90% suri alpaca and 10% tencel. The alpaca part comes from Archie, a friend’s alpaca. The mill doesn’t like spinning it, I think because it is very fine, so our friend gave me two years worth of the stuff to work with. Since I spin it super lightweight, the fiber is going to last FOREVER. I don’t feel like I’ve even put a dent in the amount we have. This whole 215 yard skein weighs barely 2.5 ounces. I’ll see if I can collect some stories from the ranch, it’s been awhile since we’ve heard from the ‘pacas! This entry was posted in fiber art and tagged art yarn, blended roving, fiber mill, handspinning, handspun, hanspun yarn, suri alpaca, suri yarn, tencel, yarn. Bookmark the permalink. I wanted to rate that post 4 but pressed the 3 instead, d’oh that’s a newbie for you. You are inspiring me with these Alpacas, d..n it! Now I want to go to my nearby Garden Centre and see if I can buy some suri roving. Do you have an Etsy shop yourself? I’m just coming to the end of some merino fibre I’ve been spinning up and I’d love to try the Alpaca. We don’t have an online shop yet, though we’re working on it. I’ll let you know when we do! Merino is lovely to work with, for sure, but alpaca is much softer. 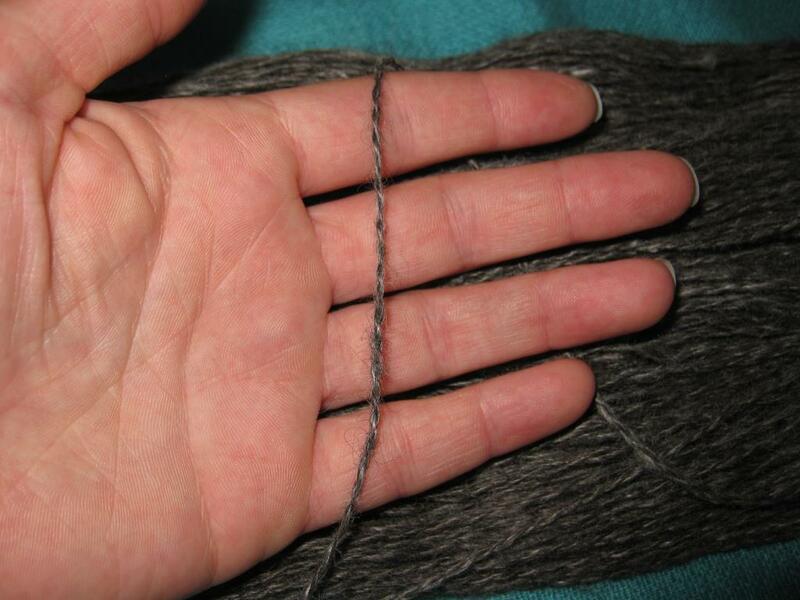 It does tend to be a bit more “slippery” when you spin, which has ruined me for spinning wool! I end up with super chunky yarn when I try. yes, I’ve only used the Alpaca once but I was surprised at how soft it was. Luxurious is the word. I’d love to make a garment with it, after the spinning of course. I put a post on my Blog with a pic of my spinning wheel and the first lot of roving I used a few months ago. Soon I’ll post a pic of what I made with it.